As a Freshman, Hillsborough’s Stephanie Mauer won the Frosh “A” race at the Shore Coaches Invitational and ended up with a Holmdel PR of 18:52 (Grp. 4 Championships) and a 21st place finish at the 2012 MOC. Unfortunately, her sophomore year was not so kind. Despite some success early in the year, Mauer, ended her season with a 9th place finish at her Conference Meet (Skyland Conf.) and a season ending stress fracture of the shin. Now a junior, Mauer is healthy and racing well. She took 2nd in the Varsity “A” Race at the adidas Shore Coaches Invitational (19:37) and last week won the Somerset County title over a talented field in 18:46. Her victory earned Stephanie the Athlete of the Week honor for Week 7. 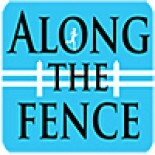 Along the Fence caught up with Stephanie after her team’s workout at Holmdel Park last Friday. This entry was posted on October 22, 2014 by Patrick Montferrat in 2014 Cross Country, Video Interviews.